As we enter into this season of warm days and cooler nights, layering pieces become all the more important. 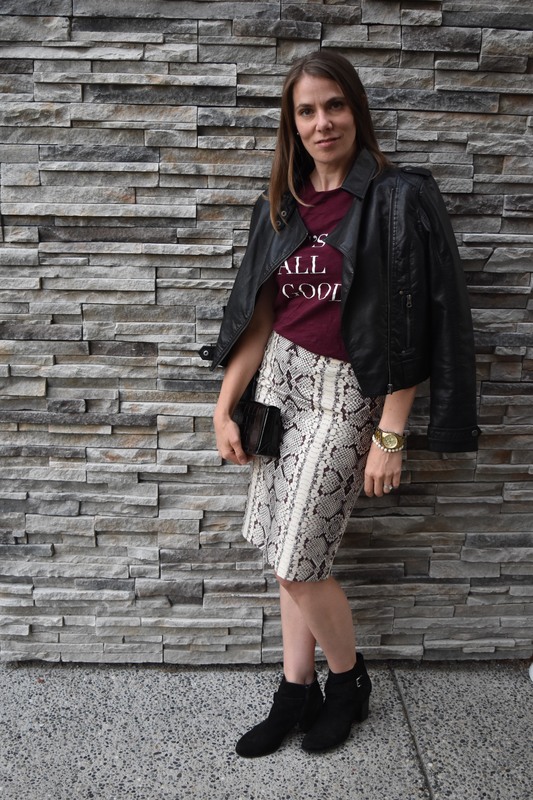 The leather biker jacket is one of those magical closet items that have the ability to transform your outfits. The classic jacket with all its zippers and snaps is like magical fairy dust for your closet. Everything you throw it over is changed for the better. Try your leather biker over your girliest dresses. Nothing chill-ifies lace and ruffles like leather and utility-sized zippers. 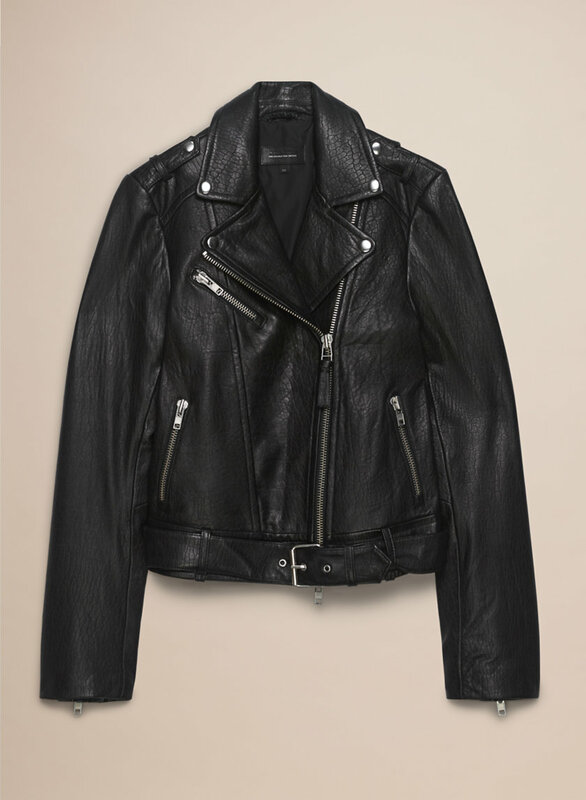 Further, try this biker staple over your straight leg dress pants and work-appropriate silk blouse. It will give your workwear staples a cool factor unachievable with any Gore-tex jacket your closet may hold. Your jeans and T-shirt look modern and edgy with a sturdy leather jacket, instead of bland and unstyled. 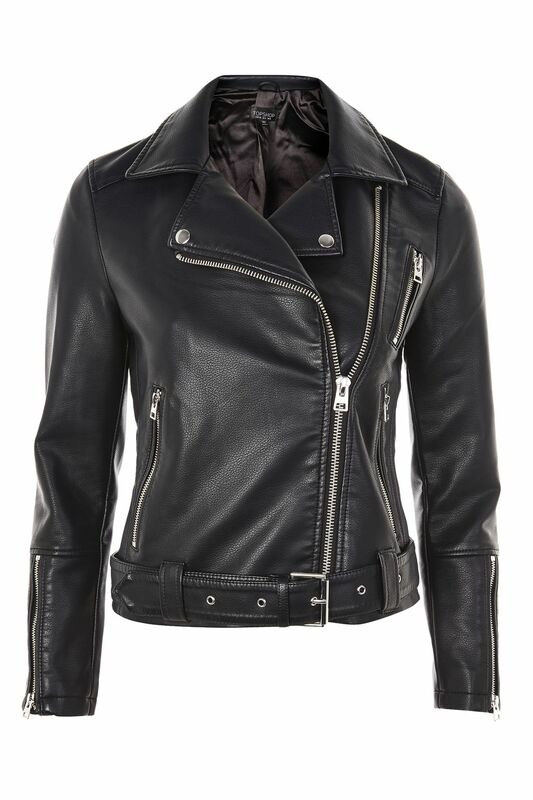 Here are a few leather biker jackets at varying price points, including a vegan-friendly one. Mix any of these into your closet with abandon. Results are sure to impress. The Joy of Style will help edit your closet and build you a fabulous personal style in a way that expresses you the best. We will find you the pieces that work magic in your wardrobe. Show us some social media love on Instagram, Twitter, Facebook and Pinterest.